Heroes Housing provides discounts and financial support, and can save thousands when selling or purchasing a home. Our realtors and their local partners can work with our hometown heroes — teachers, firefighters, military/veterans, police and first responders to save significant money! We have gone out and negotiated on your behalf for these discounts and our realtors believe in this program and our foundation so much they are willing to rebate some of their commission back to you as a THANK YOU for your service! Realtor partners can also often negotiate up to 3% (or up to 6% for government loans) in seller concessions to help cover your closing costs. Save THOUSANDS of dollars when purchasing a home through our Heroes Housing Program. Another way we can help is our Home-savers program is funded through our Heroes Housing Foundation and assists Heroes and their families who are struggling with their mortgage due to disability or death to help bridge the gap with their mortgage during their crisis by making your 1st mortgage payment. Our services are FREE to our Heroes as a non-profit organization. 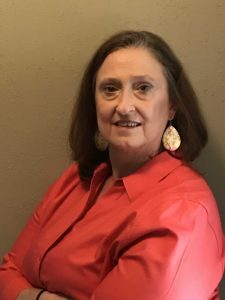 Our Executive Director is a Nationally Certified Foreclosure Document Examiner who has worked as an Expert Witness in Foreclosure Prevention Cases. As a Native Houstonian, I have lived and worked all over this great city. I am the mother of 6 grown kids. Prior to becoming a REALTOR® I was an RN for 35 years. Two years ago, I decided to take my mom and nursing skills to Real Estate. I get to talk to great people and help them through the largest purchase of their lives. I spent a year at a Big Box Brokerage, before joining Realty Solutions, a great statewide Brokerage where I have a hundred Realtors to learn from and bounce things off of. My son served for 6 years in the U. S. Army and spent the longest year of my life in Afghanistan, my daughter is a Teacher in Lufkin. I am thrilled to have the chance to give back to all of the Heroes we meet every day that make our lives better and safer. There is nothing like the joy on a buyer’s face when they get their first home, or the tears of a seller when they leave the home where they made so many memories. As a Realtor, you will always be my first concern, be it buying or selling. I will always tell you what the best choices are, but you have the final decision. Together we can get through this with the least stress possible.